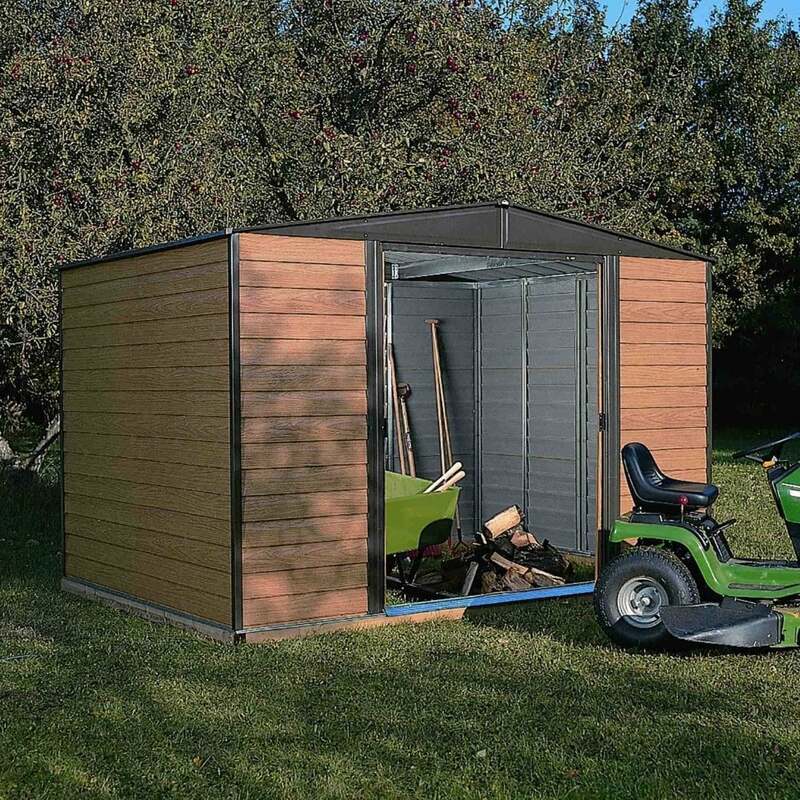 Rowlinson Woodvale Metal Apex Shed 10 x 6: The Woodvale Shed by Rowlinson is a wonderful garden building, perfect for providing ample storage space for all your outdoor tools and equipment. The Rowlinson 10 x 6 Metal Shed features sliding double doors for easy access when moving items around and has a lockable design to enhance security (padlock not included). The Woodvale Metal Shed comes in a pre-painted coffee colour and features an attractive wood grain effect with all the benefits of a metal shed.